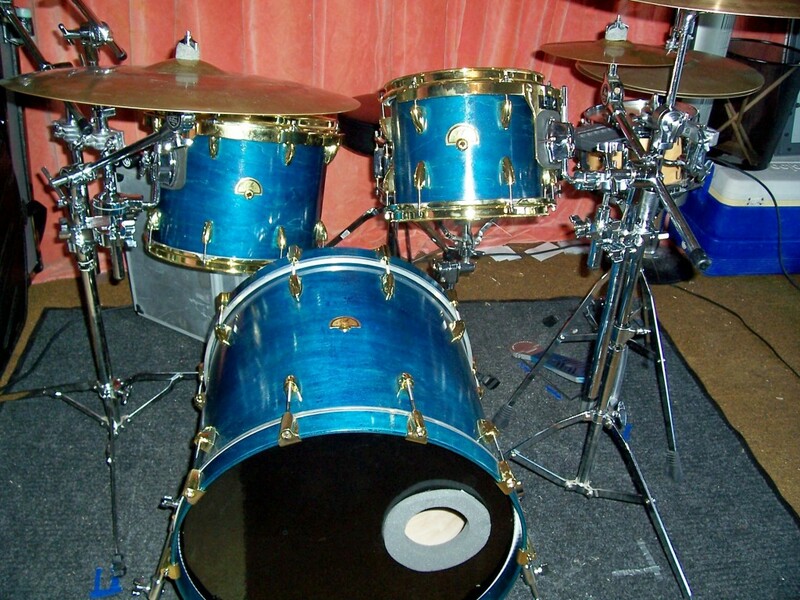 Building a professional custom drum set is something that is achievable by everyone, from the experienced wood worker, to the low budget garage band musician. I remember before I started building my own drums I would always wonder what it would be like to have an endorsement deal with a major drum company, preferably Yamaha. I would day dream about the different configurations that I would be able to have and how I would entertain an entire music venue full of wild screaming fans all listening to pounding beats emanating from my drums… I think most drummers have this fantasy at least once in their career, only to eventually settle for a second best “out of the box” assembly line drum set. I just wanted to remind and encourage all you drummers out there not to give up on this dream. You can and will achieve it if you don’t give up. I feel like this is a post that needs to be written about once a year, and since it’s the beginning of a new year it just felt right to talk about your dreams. 2013 may have been a year where you met lots of your personal and professional goals, or you may have failed miserably. Don’t let your failure bring you down. 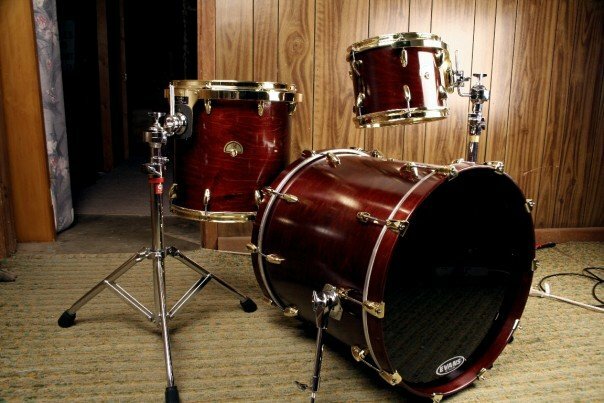 More specifically don’t let your inability to play the drums well enough to receive a full sponsorship keep you from having the drum set of your dreams. You don’t have to wait for someone to respond to one of your hundreds of emails that you’ve sent to custom drum companies asking and begging for a free drum set. Yes I’m talking about you, you, and you. I’ve gotten all of your emails asking for an artist endorsement deal, and I’m sorry I haven’t responded, but I (and most custom drum builders) just can’t give away free drums. I do, however, have another option for you. 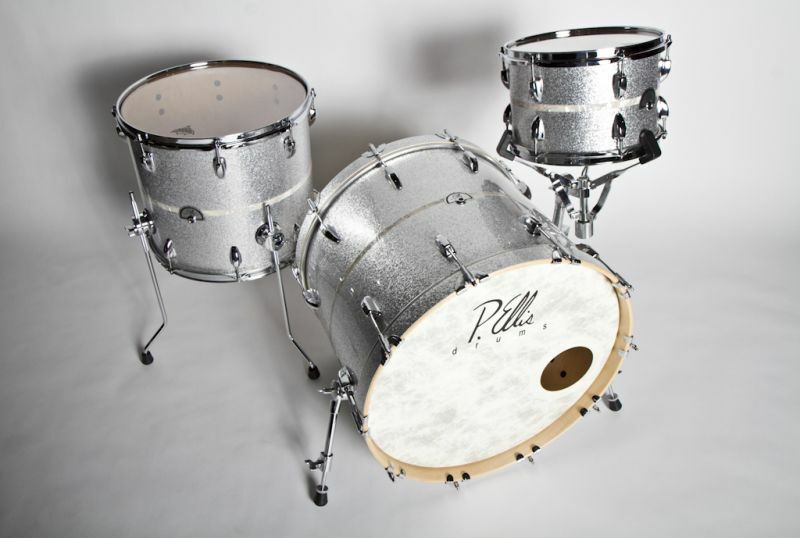 This is your year to learn how to build that custom drum kit in your dreams. I may not be able to help you achieve your dream of playing sold out stadium shows, but there is no reason for you to go another day thinking that you don’t have what it takes to build a custom drum set. I’m not going to give you my sales pitch, but I did want you take a look at what I have been able to do since I started building drums in 2006. In 2006 my friend Kevin showed me the very basics of building my first drum set. At that time I was able to order all of the shells, parts and finishing materials for under $1000. With no drum building experience at all I was able to crank this baby out. I was extremely happy with the way these came out, and you know what the coolest part about this drum set is? The only tool that I owned at the time was a drill! No fancy routers, buffers, spray guns, table saws. Nothing but a good old fashioned hand drill. The company that I bought the shells and hardware from offered to cut the bearing edges, and mark the layout of all the hardware for a little extra cash. All I did to “build” this kit was stain and clear coat the shells, and then drill the holes for hardware that were already marked for me. Doing it this way was well worth it to me because I got to see exactly how they cut the bearing edge profile and then use that as a guide for the second kit I built. It also gave me the confidence that I needed to step up and try some of the more difficult woodworking that goes with making custom drums. For the second kit that I built I did the exact same thing. And it turned out even better. Yes that is me, a picture from college, when I was younger, skinny, and more stylish. (I mean you see that I’m wearing Crocs right?) The funny thing about this house, which is now condemned, was that it had an indoor pool that was haunted, and was a great multipurpose room since the water was kept drained. Both of these kits have a special place in my heart. The top kit is now painted black with red stripes and resides in New Orleans. The second kit toured the U.S. with a band from Dallas for a while, and now I think they are in Kansas. Skip ahead some years and here I am today; still building drums, and still learning from every drum that I make. In fact today I met a huge drum-building goal for myself. I cut and installed my first re-enforcement rings in a snare and a kick drum (with 2 tools that only cost about $10 total!) I plan on adding a new section on the book for re-enforcement ring installation soon! I think this may be my favorite drum set that I have ever built. I’m showing all of these pictures not to brag on myself…well ok maybe just a little, but I’m also showing you these pictures to show you how far I’ve come. 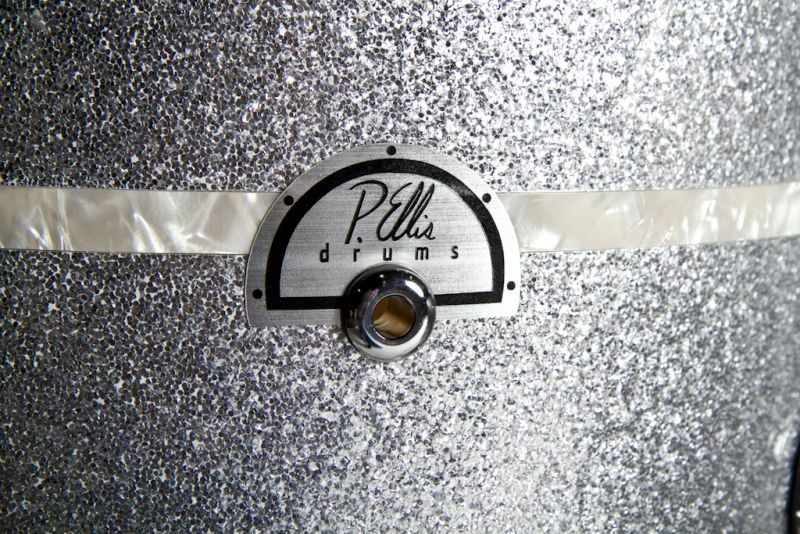 I went from buying a drum set that was practically an “assemble yourself” package, to learning how to do some of the most difficult and most protected drum building secrets out there. I hope that this will encourage you to act upon your dream. I love getting emails from drummers around the world telling me that they took a chance and built their own custom drum set. 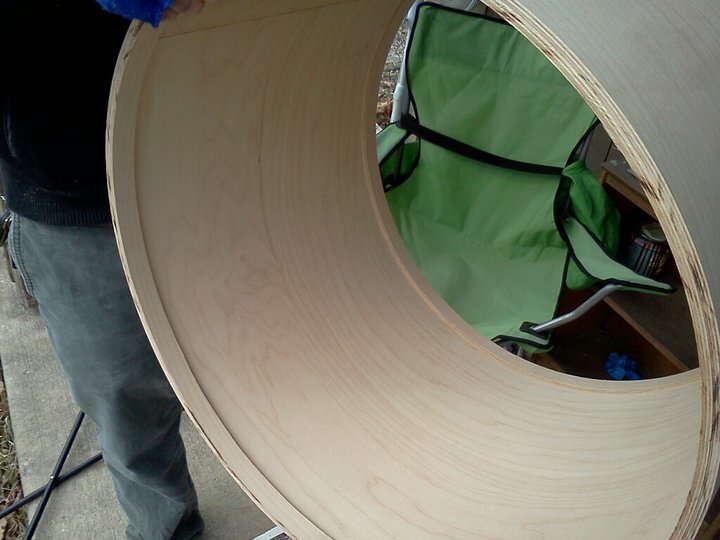 I love it when I get these amazing pictures of drums built by drummers who didn’t know that buiding their own drum set was even a possibility. You can do it! May this New Year be the year that you set goals and won’t settle for anything less than climbing that mountain to reach your goal! I recently graduated University over here in England and started my career in teaching. It’s great and I’m really enjoying it but my main passion in life has always been drums and I’ve wanted to build custom drums since I can remember! A few years back I made two of my own snares (one a kellar type shell and the other a stave drum with a router I ‘Borrowed’ from my father. I have recently been researching and planning to start making custom drums again and actually branding them with my name and trying to form a career out of it. It certainly isn’t the easiest goal one could have in life and I often wonder if this will ultimately see me worse off financially than teaching (which is actually pretty decent here in the UK) but today I read your drum building encouragement post and it’s given me that extra kick I’ve been needing in the past few weeks. My plan is to start building in the new year and do everything I can to get things moving and judge interest to hopefully build my career as a custom drum builder. I just wanted to say thanks for posting such amazing and helpful resources! !